Mike Vax | Prescott Rocks! You are currently browsing the tag archive for the ‘Mike Vax’ tag. As a warm-up for the Prescott Jazz Summit in August, there will be a FREE jazz concert at Noon this Friday, April 9. Mayor Marlin Kuykendall will present a proclamation recognizing April as National Jazz Appreciation month at Courthouse Plaza – north side – at noon on Friday, April 9th. Following the presentation the “All Star Jazz Quintet” will be performing. Please come and bring your friends (and even people who aren’t your friends) so we can have a good turnout. 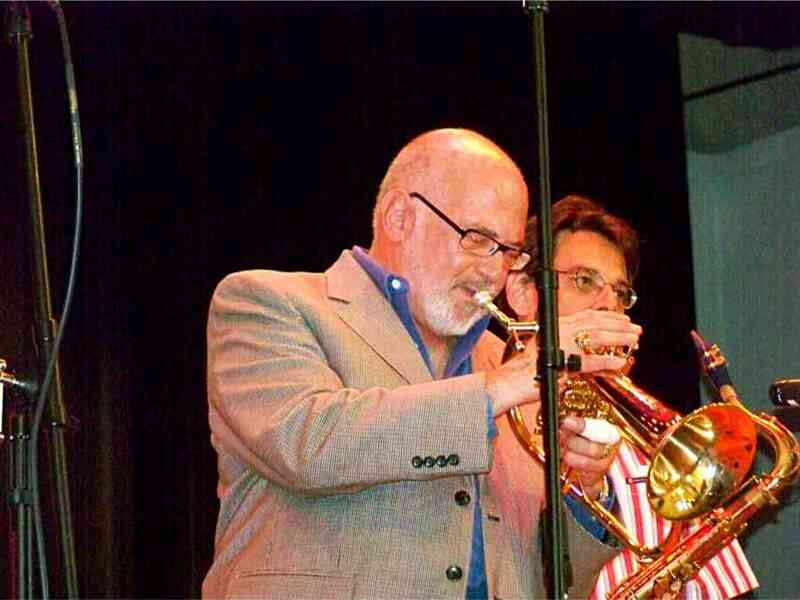 Mike Vax’s “All Star Jazz Quintet” will also be playing at 129 1/2 on Friday evening from 6:30 to 9:30. Please come and support your Jazz Summit musicians and also Barry Barbe. He is one of he few on going jazz presenters in the Prescott area. Have dinner or dessert of a couple of drinks, whatever. The Prescott Jazz Summit will celebrate its tenth year in 2010. We would like to grow it into a great gathering of jazz musicians like the festivals in Montreal and New Orleans but we need community support to do that. This entire festival is run by a group of dedicated volunteers. Come to the free concert this Friday at Noon and meet some of these volunteers and learn about the Prescott Jazz Summit.